The thing about sequels is often that the territory is too familiar, or there is some or other stupid reason for why your hero is stripped of their powers, again, and has to start from the beginning. 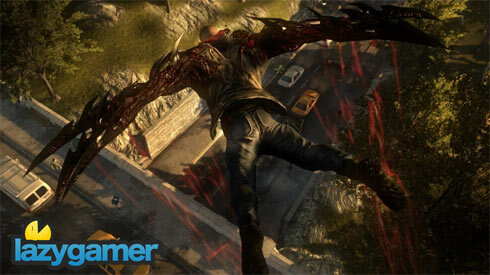 Prototype 2 avoids this by introducing a new protagonist: Sgt James Heller. Don’t worry, Mercer is still around, but he has lost the plot and seems keen on wiping out New York, and I must say, he makes a brilliant Darth Sidiousmanipulating bad guy. Heller is brash, crass and menacing, but most of all, he is believable. Despite being the Mr T/Kratos styled angry man, he shows compassion, reinforcing the idea of his values, despite him being on the edge. His foul-mouthed, almost suicidal rage made me think of the Hulk and with the exception of buildings, Heller leaves just as much devastation in his wake. Heller is bigger and stronger than that emo, skinny scientist Alex Mercer and it shows. Heller is a predator: besides having a kind of viral sonar to find his targets, he takes a more direct approach in gaining powers. 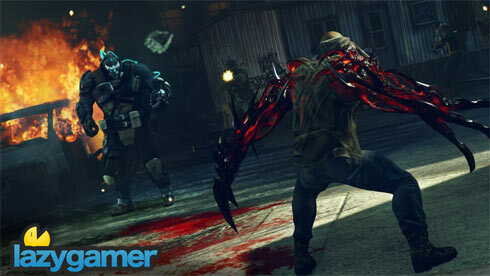 Heller is animalistic; seeking out the strongest and meanest infected. Then, once he devours them, he makes use of their powers. Heller’s evolutions seem more practical, and he mixes and matches at will. For example, Heller turns his arms into massive shields instead of making his entire body turn into armour, which would slow him down. He can also use two weapon powers at the same time, allowing for more natural and varied combat than his predecessor. 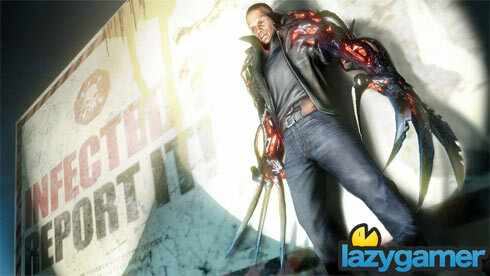 Use your claws to get a few quick hits in and then press your advantage with that impressive sword-arm. Entangle your opponent up with tentacle attacks, and then rip their arms off with your impressive hammerfists. Heller embraces his new powers as he sees them as a means to reach his goal: revenge. The story (yes there is a story) is driven by cinematics, which are done in stylistic monochrome with red (and sometimes the blue of Blackwatch goggles) as the only visible colour, which makes gore, blood and viral mutations really stand out. Side quests, although relatively few in number, do a good job of fleshing out the story, allowing you to delve deeper into the Web of Intrigue without just running around mindlessly hoping to happen along a juicy suspect. Even the collectibles, blackboxes scattered through NYZ, add a lot of narrative to the story, giving insight into what has happened in the 2 years since the end of Prototype 1. I enjoy this approach much more than the find glowing orbs in the city style that other sandbox games opt for, and found myself compelled to find all of them and do all the side quests to hear more story. There is nothing better than seeing something brand new in a sequel. New York has been rebuilt, showing not only how much has changed in the last two years, but also making for much larger environments. A city block really feels large, with the buildings getting taller and denser the closer you get to downtown. In most sandbox games, AI is a hit and miss affair. If they are too clever or annoyingly persistent, a game can become a chore. Prototype has stupid AI, especially when it comes to discovering that you don’t belong in a military base. While Blackwatch does a great job of spotting you running around with blades for hands, they seem very nonchalant about a scientist or soldier running faster than a speeding car, or that said scientist just jumped off a skyscraper to land right next to them. Civilians seem to notice and tend to run around in panic, like any good mob should. Oh, and if you’ve never played the original Prototype, there is a recap video that will get you up to speed. The new engine makes NYZ a treat to explore. With less speed blur and larger buildings, you won’t get the feeling of ever moving ‘too fast’, something that plagued Alex Mercer in Prototype 1. Heller feels heavier than Mercer ever did, and that weight really shows behind a punch and when he takes on the bigger enemies in the game. Small details, like voiced side quests and artworks for the //Blacknet investigation folders just add to the final finish. Smoother movement and vastly improved combat make for an enjoyable tour of NYZ. Besides sometimes gripping a hapless citizen instead of that rifle on the floor, the game is, for the most part, good at doing what you want it to do. Thankfully, picking up hapless citizens has its benefits too. Value: 6 (+1.5 if you have Radnet). 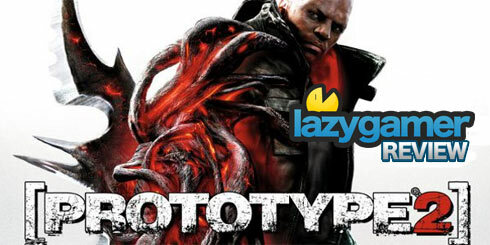 In the same way you don’t go into an action movie expecting cerebral stimulation, Prototype 2 is not a thinking game, and it does its best to make sure it never tries to be a thinking game. 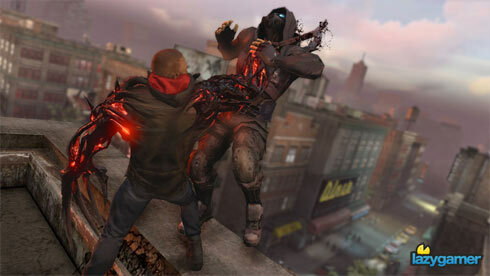 Prototype 2 is about eviscerating, consuming and obliterating anything and everything that moves, which makes it a refreshing respite among the throng of titles that exercise, confuse and thrill the old grey matter. If you are here to kill, maim and gorge, you have come to the right place. Previous article The show must go on! Is Borat ready to be Freddie?